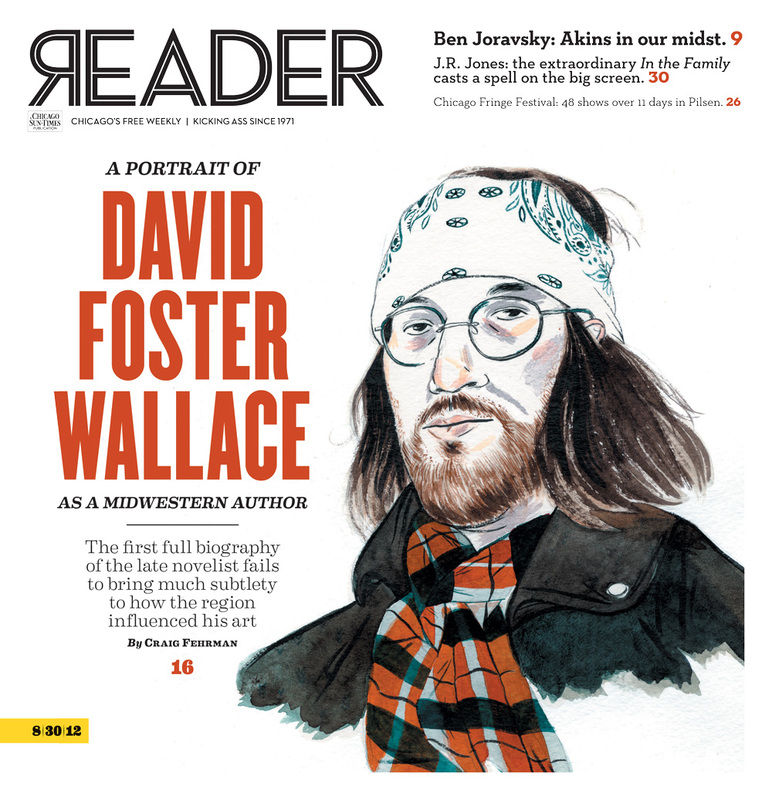 In this week’s Chicago Reader, I’ve got a long review-essay on David Foster Wallace. The review part centers on Every Love Story is a Ghost Story, D. T. Max’s new biography of the author, and the book is just OK. Still, it let me explore Wallace’s relationship to the Midwest — that’s the essay part — and I hope readers find it intriguing and persuasive. Now, I could go on about this stuff all day — about how Max’s book corroborates Jonathan Franzen’s essay on Wallace’s inner ugly side; or about how much I’ve come to respect the work of David Lipsky, who consistently got the best quotations out of Wallace (and whose reporting Max relies on relentlessly). But I’ll limit myself to one final aspect of Wallace and the Midwest, and that’s how the region responded to his own writing about it. There are so many inaccuracies and inconsistencies in this story, it really doesn’t deserve a response. In fact, the only thing the author seems to be consistent with is his gross misrepresentation of the fair and his use of profanity. It’s a typical case of a small-town boy who betrayed his roots when the big city went to his head. He ended the interview by reaffirming his affection for the Midwest: “My resting pulse rate is lower here. It’s really very nice.” And yet, as late as 2010, the State Journal-Register was still smarting about Wallace’s essay. It’s a colorful and, I think, telling episode about Wallace’s personality and his relationship to readers. But while Max includes some interesting details about the accuracy of Wallace’s nonfiction (“We quietly agreed that his nonfiction was fanciful and his fiction was what you had to look out for,” Wallace’s sister tells him), he never mentions this little State Fair dust up. Nor does he examine the way Wallace’s journalism evolved from “welcome to my mind” to the intensely rhetorical style of his later pieces. These are just a couple examples of why Every Love Story is a Ghost Story is a disappointment, both in terms of its details and its interpretations. I really enjoyed your Wallace piece in the Reader. I thought that it was very sharp and insightful, well thought out, and critical yet fair. Great job! Thanks for reading it, Peter — and for taking the time to comment!